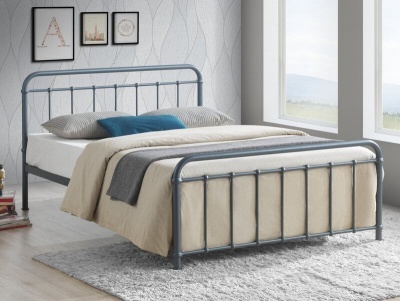 With its casual understated style this bed frame works with most bedroom decors. 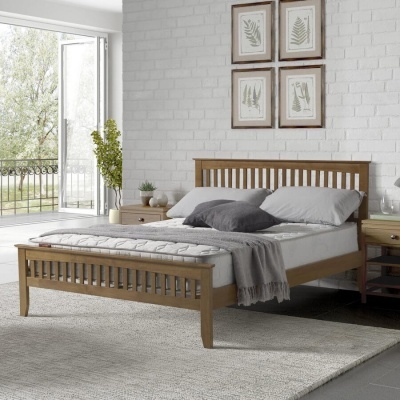 The Winchester PU leather bed has a sprung slatted base for extra comfort. Choose from black or brown to suit your bedroom. The height of the under bed clearance/storage space is 32 cm. The overall dimensions of the Winchester 4ft6 bed are: H96 L217 W145 cm. Floor to mattress base: 27 cm. Footboard height: 63 cm.